I think my blog needed a break from squash, sweet potatoes, and apples for a bit so instead I bring you a slight psa about popcorn. Furthermore, just think of all the packaging you would save if you bought popcorn out of a bulk bin! This was all a brief synopsis of this good article but I recommend you do a little google searching to find out more! Heat oil over medium-low heat with the 3-4kernels. When the oil and kernels begin to sizzle, add the remaining kernels and toss to coat. Once coated, sprinkle the sugar on top and cover with a lid. Every few seconds shake the pot back and forth so that no kernels burn. Continue to do this through the popping. Once popping has slowed to hardly no sounds, remove from heat and serve. Paprika, Garlic Powder, Parmesan, Chipotle Powder, Melted Butter, or check out Savuer’s Out of the Ordinary toppings! I grew up eating stove-top popcorn and I will forever be mystified that people spend so much money on chemical-laden bags of microwave popcorn. Have you heard of popcorn lung? You can read about it on Wikipedia. Seriously disturbing. Tried to give you five stars but it didn’t work! There! 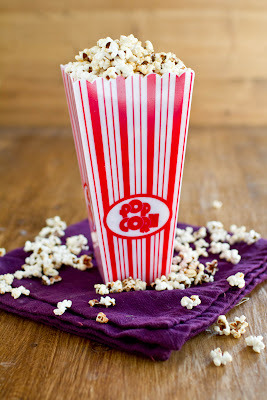 I always make popcorn on the stove and never thought to try it kettle corn style! I also love buying the kernels since its so much cheaper than trying the pre-made ready to pop kind. Today I landed on your site not once but twice! First I was looking for a good butternut squash recipe for Christmas dinner (thanks!) and then I did a search for kettle corn and found you again. I want to make kettle corn with sugar and salt, and have been making my popcorn on top of the stove forever! Next batch I’m going to add a couple of tablespoons of sugar right after the oil starts to sizzle. 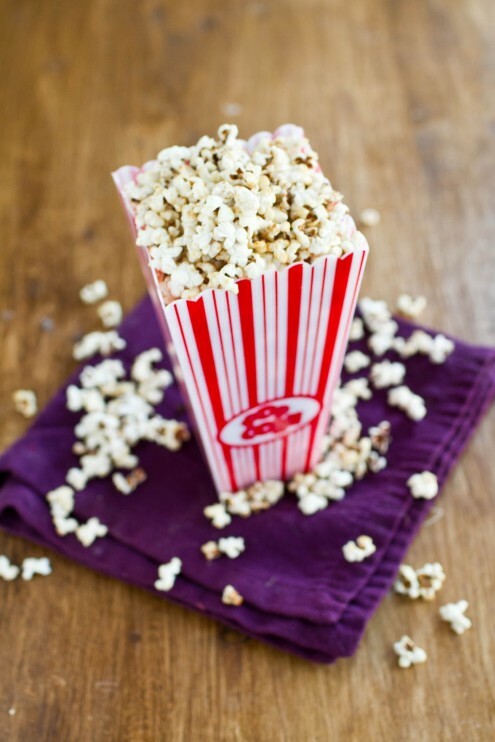 PS – try popping your corn in extra virgin coconut oil. It doesn’t burn, and it gives it that magical movie theater aroma and taste! 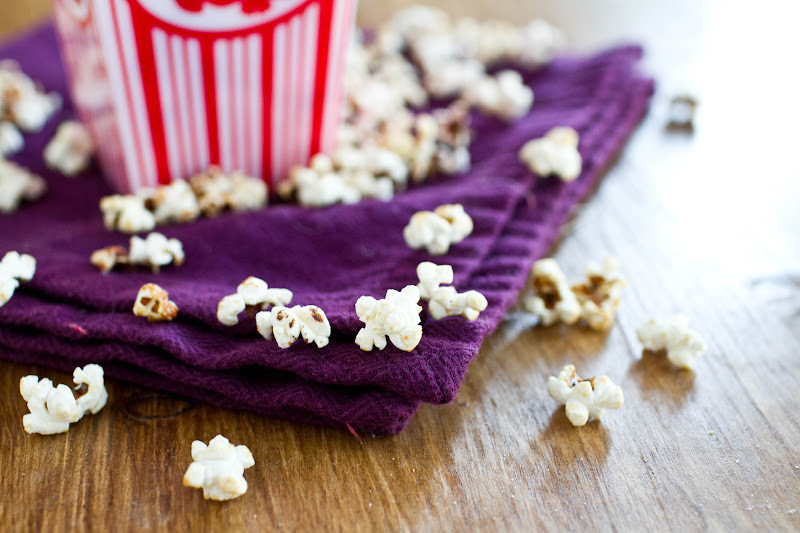 Do you know you can pop your own popcorn in a paperbag in the microwave? Put 1/4 cup of kernels in a bag, fold the top over a few times and wack it in on medium for 90-120 seconds, and simply pop in some salt and pure butter. Not margarine, never margarine.